← Your Chi Might One Day Be Bottled! From time immemorial, humans have been searching for the key to eternal prosperity, health, longevity, peace and happiness. 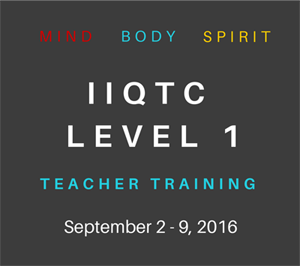 To reach this goal, many have even subjected themselves to long-disciplines and deprivation. As human beings, most of us long for understanding, love and a sense of purpose and we spend our lives running from one thing to the next searching for the magic pill or a superhuman that promises to give us all of these things and pick us up and take us to heaven with minimal effort. Many ancient teachings and sages had profound insights into human existence, cosmic alchemy and possibility. Our modern life has disconnected us from the wisdom that the ancient sages have known for thousands of years about how to cultivate a healthy, balanced life. Science is finding new ways to identify what the ancients have known and used for thousands of years. The question that so many of us are asking now is ‘How do we access that knowledge and use it in our daily lives?’ There are a few people today who have maintained a link to that ancient wisdom and learned how to vibrate at a higher frequency. One such treasure is Master Yun Xiang Tseng, (Chen). A childhood prodigy, Yun Xiang Tseng was trained from the age of 6 on China’s sacred Wu dang Mountain (made famous by the movie Crouching Tiger Hidden Dragon”) Master Tseng is a 25th generation Longman Taoist Priest and is of the 14th generation Wu Dang Zhang Sanfeng lineage. As a martial artist, Taoist Priest and world renowned healer of 30 years, Chen has been helping people change their lives for the better. His story is almost unbelievable. Looking for explanations for his extraordinary psychic powers and abilities that were draining his energy, at 6 years old, he sought to heal his mind, body and spirit. At the same time, Grand Master Cheng Yu Li of the Taoist temple in Wu Dang was a 24th Generation Priestess of the Longman branch. Already in her late nineties, the priestess asked Master Guo Gao Yi’s help in locating a certain boy she had chosen through a vision in deep meditation, as her successor. “You will find the boy in Fuzhou on a sunny day in the spring,” she told him. Master Guo was a member of the Zhang Sanfeng sect and a priest of the Longman branch. Hundreds of years ago, Zhang Sanfeng is reputed to have developed the basis of Wu Dang Internal Boxing after observing a magpie fighting a snake. Master Guo passed through Fouzhou in the spring of 1973, after trekking nearly a thousand miles from Wu Dang. He stopped to refresh himself at the temple where Yun Tseng had already been studying Taoism and Qi gong. As he practiced tai chi in the yard, the six-year-old boy watched, fascinated, as trees several meters away moved in response to Master Guo’s deliberate movements. 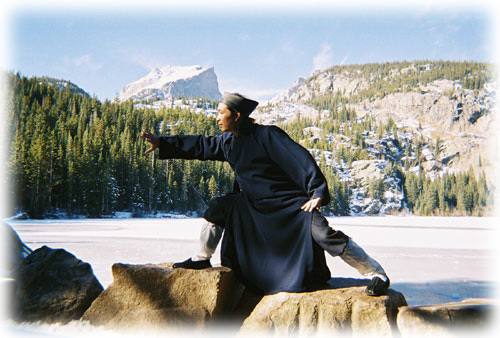 During the month-long journey, mostly by foot back to the Wu Dang Mountains, Master Guo began Yun Tseng’s training. He practiced fundamentals daily with Master Guo. He was stronger and energetic by the time he reached Golden Flower Temple at Wu Dang. One of the largest temples on the mountain, centuries of conflict and neglect had reduced most of it to ruin. The last edifice standing housed Master Li and it would be the young boy’s home as well. On first meeting her, he recalls, “It was as though she was very young and I felt as if she was master and mother, as if I’d been adopted as a son. I loved her like a mother and respected her as a sage.” Grandmaster Li’s wisdom and ability were highly respected. 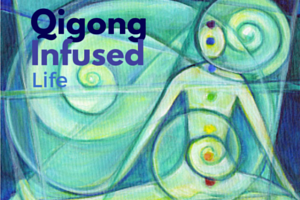 Both in and out of the Taoist community, many sought her wisdom and her advice. Until very recently on Wu Dang, there was no electricity, no telephone, no plumbing, no modern roads. It was a place so untouched by the stress and turmoil of the modern world that it was a perfect environment for the cultivation of inner tranquility and energy. Yet the modern world reached out. October 1966 began the Cultural Revolution, which had the aim of obliterating the pre-existing culture and ‘re-educating’ teachers, managers and anyone that Mao Zedong considered a political threat to Communism. As the Communist Red Guard began arresting students of religion, many Taoist priests fled, some were killed and some escaped by living as hermits in hiding up in high mountain caves. Where there had once been hundreds of priests at Wu Dang, when Yun Tseng arrived there were only 20. Master Li was considered too old to be a bother and Yun Tseng, too young. Even so, they hid when the Red Guard was in the area to avoid detection. Life on the mountain was hard, with small amounts food they grew themselves and some wild food and herbs, there never seemed to be enough to eat. Each day began before dawn. Yun Tseng got up and brought water to his Master, paid his respects to Zhen Wu, God of the North, who oversees the water on the mountain, recited sacred texts, ate breakfast and trained to develop his internal and external strength. He also attended the local elementary school when he could, and performed physical activities including tai chi, kung fu, yard work or shoveling snow. Master Li wanted her student to share Wu Dang religion, culture, and tradition with the world. She saw it as a gift produced by past generations that belonged to those with desire and determination to study and practice it. “Everyone is my child,” she told him. “Everyone is my responsibility.” As her chosen successor, Yun Tseng had much to learn. He practiced focusing his attention, he meditated, he studied the Tao Te Ching- Taoist scriptures. He learned Taoist rituals and ceremonies, he studied Xuan Xue ‘Mystical Knowledge” of secret drawing, singing the alchemy of immortality. 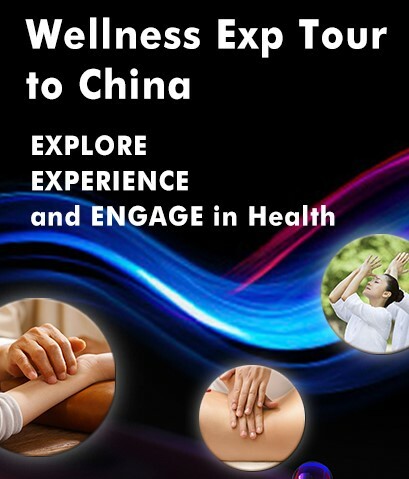 Master Li’s interests were traditional Qi Gong, focusing on healing, reversing aging and rejuvenation, acupressure, and acupuncture. She taught Yun Tseng how to heal with herbs, with qi and with countryside techniques. Yun Tseng’s training with Master Guo kept pushing the boundaries of the possible. It ignored the conventional limits of reality. Blindfolded in a dark room he learned to dodge objects thrown at him, first soft rags, then rocks, wooden knives and arrows, he learned to be aware, he learned how to use his ‘sixth sense’, how to feel the attacker’s intent and dodge the attack without his eyes. When Yun Tseng was 16 years old, Master Li persuaded him to leave the temple, to leave Wu Dang. She said it was now time for him to use what he had learned in the service of others. “Go to the West,” she told him. She was asking him to become a community priest, to leave the sacred mountains and go among people to teach and to heal and to pass along ancient wisdom that would enable people to take charge of their lives, their health, their spirits. By the “West” she meant the United States. She also asked him to continue his education. It was a difficult decision and one of the most difficult things he has done. He spent 3 years working as a community priest teaching and healing thousand upon thousands of people. Yun Tseng returned from the community to Wu Dang in 1984 and took on his master’s name “Chen” as his Taoist name. He was now ready to travel to the United States. He and 52 villagers, all hiked out of China to the Meigong River at the juncture of Laos, Burma, and Thailand. Chen led them all safely along a path of red light that only he could see at midnight as they made their escape through the dark night. This is one of those occasions of the mystical that are so often a part of Wu Dang Taoist practice of Alchemy and cultivation of Qi (life force) and another reason these practices should be preserved in their original form. As they fled, Chen and five others helped him keep the calm and fought side by side to control the fighting and killing for limited food and water. This was a conflict to the death for basic survival. Once Chen’s group had proven themselves in combat against twice their numbers they were able to control the villagers and distribute the food in an equitable fashion so that all would benefit. They kept the peace for the duration of the 7 days to trek out of China through the jungle and 7 days hiding near the Meigong River. These kinds of life experiences are like a movie script with a massive special effects budget, but nevertheless very true. When Chen arrived in the U.S, he had no money and knew no English. He got a job at a McDonald’s flipping burgers. To entertain himself, he did the job using his martial arts training, flipping multiple burgers at a time and using his sword skills to wield a knife, becoming a huge hit with the rest of the staff and the restaurant owner! Chen learned English by watching the news when he wasn’t at McDonald’s flipping burgers. His first goal, upon arrival, was to save money to pay off his debt of $35,000 for passage to the United States. He lived a very simple life; no social interaction just work and studying English. Today we see Chen as a scholar and humble spiritual leader to thousands around the world. His style of teaching carries on from his own successful training in the temples of Wu Dang, methods that have been passed down in their original form for centuries. Time is now critical to preserving the knowledge of Wu Dang religion, culture, and traditions. Certain practices passed orally through centuries are known only by a few old men living in caves on the mountain and more is lost at each priest’s death. Master Chen currently resides in Estes Park, CO, where he owns and operates the Dao House, health and wellness retreat center. He is teaching the next generation of Wu Dang tradition and raising funds to build Yu Xu temple, future spiritual home of Wu Dang Taoism in the west, as well as a spiritual home to all religions. More than 25 years after leaving Wu Dang Mountain, Chen devotes himself to achieving Grandmaster Li’s vision of sharing the incalculable benefits of Taoist Arts with humanity and preserving the purity and sanctity of this ancient religion and philosophy that aligns itself with all and rejects none; as organic and clear as nature and the heavens with Man as the bridge. 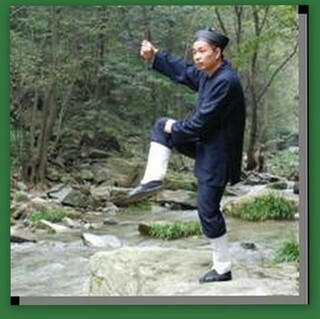 To learn more about Master Yun Xiang Tseng (Chen) please visit http://Wudangtao.com. This entry was posted in From the Master, Uncategorized and tagged Crouching Tiger, Wu Dang Mountain, Yun Xiang Tseng. Bookmark the permalink. I think this magical thinking has done untold harm to the practise of the internal arts and had leg many people up dark alleys. 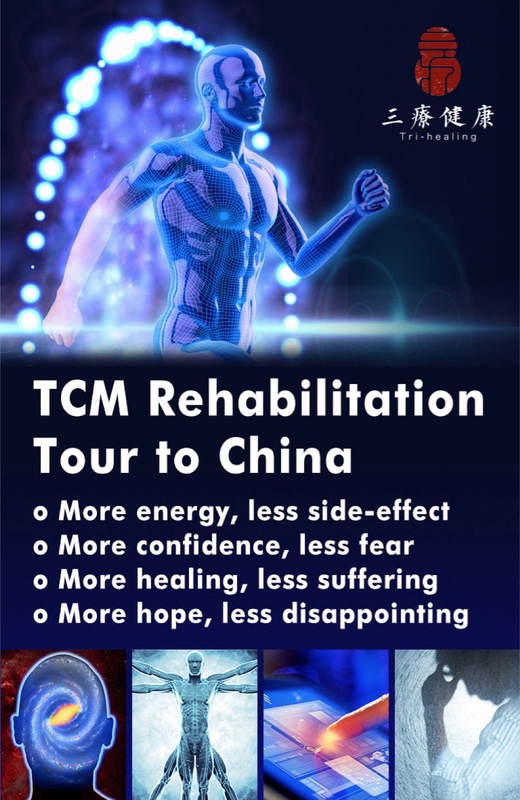 Look at the constant scandals in China due to qigong ‘masters’ persuading others of their secret powers and the political and financial corruption that flows. Look also at the ungrounded, unrealistic expectations that practitioners (both Chinese and Western) bring to their practice. If anyone can prove their ability to move trees several metres away I will eat my laptop. Certainly in terms of the denser layers of physical reality and especially in terms of fighting, these ‘qi mastery’ styles, particularly the internal arts fighting styles all fall flat and fail miserably, as the modern sport of mixed martial arts (the UFC being the standard promotion) comprehensively prove. In fact, there is even the danger that practising and ‘mastering’ these skills leaves you a much weaker fighter and individual who becomes more scared and less resilient to a real fight situation or demanding life experience. However, it has been my experience that, with some of these principles and techniques, we can certainly develop our intuition in profound ways that previously we had considered impossible: in sensing what is coming up and what likelihood certain things are of appearing in our experience; when someone is about to call, who it is, what they are roughly (and exactly) thinking about on a subject which involves you in some way. 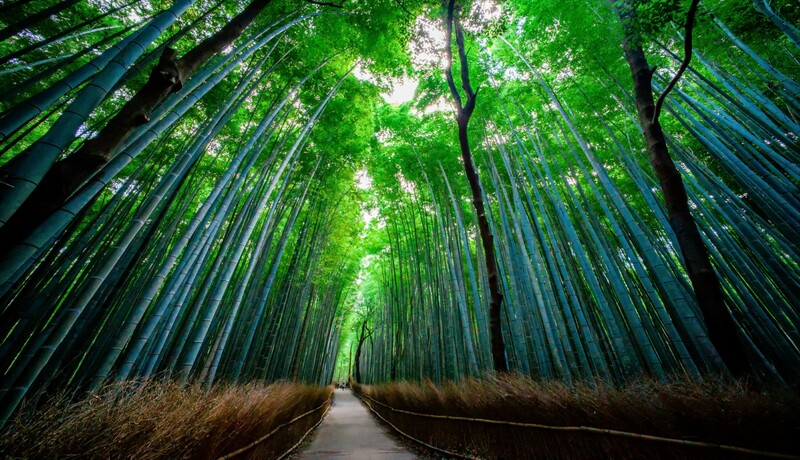 Intuition and esoteric experience account for just as much as exoteric science. Indeed modern science is finally proving much ancient esoteric wisdom to finally be verifiable exoterically. And in situations where there is no opposing viewpoint, where it is not about one against another but about a unified will, there also seems to be a greater tendency for unusual effects, as these internal arts schools can verify. The problem seems to come in opposing views, and in this sense, again the exoteric, communal reality can easily disprove these ‘magical powers’. I’ve tested it extensively with friends in an MMA setting and none of it works, but in other environments it can. This approach of good self development and self care, such as stilling the mind, keeping the body clean, strong and flexible, ensuring health in life and wealth in spirit and emotion, all help with life and vitality. This is all in alignment with teachings of Daoism. However, I completely agree that the marketing of someone’s authority through the promise of ‘moving the trees’ is unnecessary, unverified and unproductive. I would also like to know who ripped Chen off by charging him $35,000 to get to the USA! Looking at his interview in Kung Fu magazine after reading this one, regarding his lineage & early years, it looks like two completely different people. Not much matches up beyond his being born in China. What’s going on?